Purchasing your very first home and moving from one property to another could be considered one of the most stressful life events for any individual. Buying a home is one of the largest investments you will make and it is therefore crucial to understand the entire process, from the first initial property viewing to the day you open the door with your own key. During the process of working out how much you can afford to spend on your new home, it is important to ensure you remain realistic. Carrying out a full budget calculation will allow you to see exactly where your money is being spent and how much disposable income you have. We advise you speak to one of our mortgage advisers to go through a budget planner, and get an idea of the costs. They will also be able to give you an indication of not only how much you can borrow but also how much you can realistically afford based on your budget planner. Also don’t forget to take into consideration any associated costs with purchasing a property, such as conveyancing, stamp duty and even purchasing furniture and decorations for your new home. When buying a property and you think you have found something perfect for you, sometimes you may overlook certain details of the property. We advise that you take an experienced homeowner along with you such as a family member to be your second pair of eyes. Always do a minimum of two viewings; perhaps one in the morning and one in the evening to give you a good idea of the home and the area in which it is situated. As a homeowner, you will become liable for utility bills such as council tax, water rates, gas and electric bills so always forecast these in your budgeting. If you are unsure about the council tax banding of the property, it is advisable that you ask the estate agents or vendor you are buying from when you meet them at the viewing. Alternatively, you can always reconfirm the banding by getting into contact with the local authority. It is also imperative to make sure you fully assess the area you are buying in. Think about the “3 S’s” – schools, shops and station. If the property is situated amongst good schools, local shops and a train station is located near by, it is highly likely to be a good purchase for reselling. Please note, properties in good catchment areas for schools generally have a higher premium. It also helps to have your new home near your place of work or with easy access to get there. As we all know, travelling expenses can accumulate over time therefore having a property where your commute is easy and reduced may save you a significant amount of money in unnecessary travel costs. These costs will also need to be forecasted in your budget plan. Our qualified advisors would be happy to sit with you to work out your budget planner. 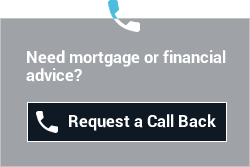 Feel free to call us today to discuss what mortgages are available to you.